The best characteristic of our employees is their constant drive to know more and achieve more. Their commitment to excellence is reflected in every action we take and every relationship we nurture. 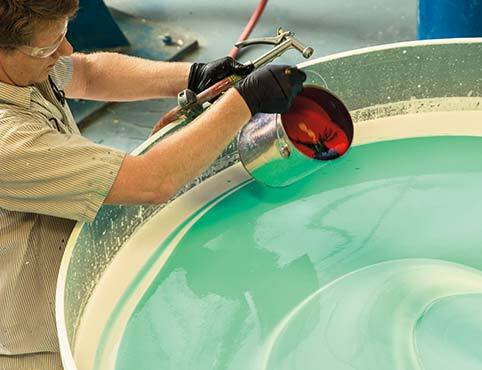 Benjamin Moore & Co. has 1,700+ employees in North America working at our manufacturing sites, distribution centers, research and development labs, and offices. Our core values of Openness, Integrity, Community, Excellence and Safety define who we are and how we conduct ourselves. They reflect our heritage while preparing ourselves to compete in the future. 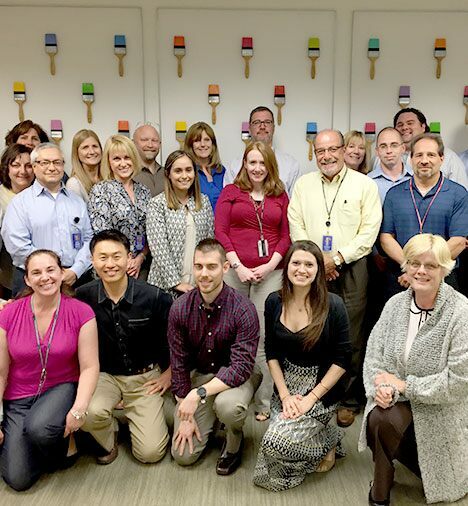 Benjamin Moore has embarked on a journey to increase employee engagement at all levels of the company. We conducted our second employee engagement survey in 2016. 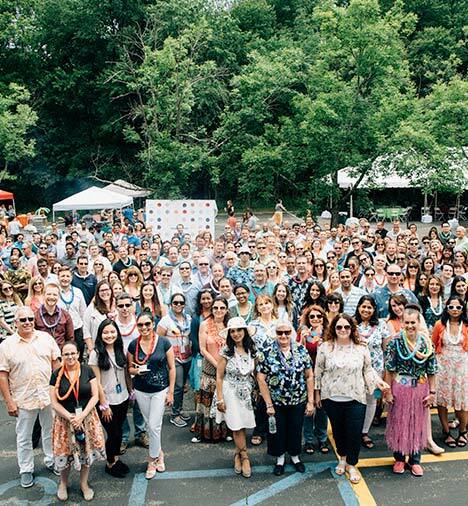 The results showed that 87 percent of our employees are proud to work for Benjamin Moore, and 83 percent could see a clear link between their work and the company’s goals and objectives. A third survey will be conducted in the fall of 2017 and will determine the shape of our efforts over the next several years. Recognizing our employees at the right time for the right things has a very powerful impact. It’s the key to creating the type of workplace we all want (engaged, open, agile, bold) and getting the results we need. 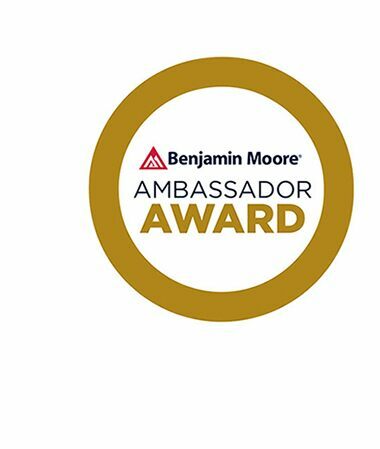 Benjamin Moore launched the Ambassador Award Program in 2015 as a way for the company to recognize both individuals and teams for their contributions to the overall success of the company. In 2016, we celebrated the second class of award winners – seven individuals and one team of two – for their contributions and achievements. Benjamin Moore & Co. is proud to offer employees opportunities to further their education and careers. 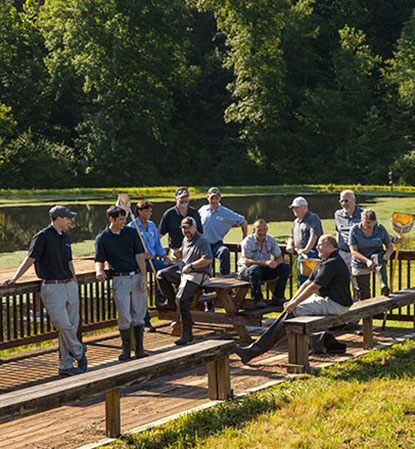 During 2016, we provided more than 30,000 hours of training to employees at all levels on a wide variety of topics. We also hosted 12 interns in various departments, who make great efforts to learn the business and contribute to the teams they’re assigned to support. Benjamin Moore’s Supply Chain Academy provides employees with the training and study materials needed to become certified in their area of specialty. The Academy also offers cross-functional learning programs facilitated by SCM World, a cross-industry learning community. Our ultimate goal is zero incidents. We launched a Safety Video campaign designed to help deepen the understanding with our employees that safety is the number one priority with Benjamin Moore Leadership. Leaders took advantage of the opportunity to share personally what safety means to them. We also committed to implementing the SafeStart® safety training process in all plants and distribution centers by the end of 2018. 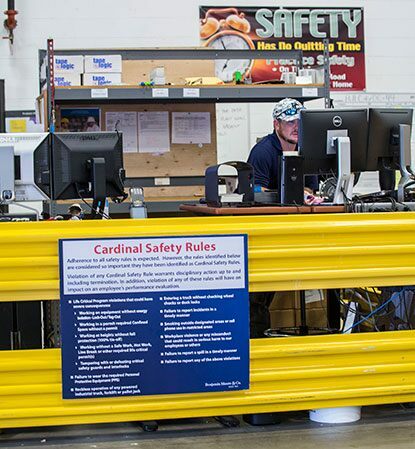 SafeStart takes safety awareness to the next level by reinforcing knowledge with practical techniques that help our employees stay more alert to risk all day, every day, at work and at home. We offer a robust wellness platform called Moore Health and Wellness. All full-time employees and their spouses are eligible to participate in the wellness program. Participation allows employees to qualify for preferred medical rates. To qualify for the premium discount, employees and their spouses must complete a health screening and a well-being assessment, and must either be tobacco-free or participate in six coaching sessions. The number of Benjamin Moore employees and their spouses getting physical exams is greater than 75 percent, significantly above the business environment average of 40-50 percent. 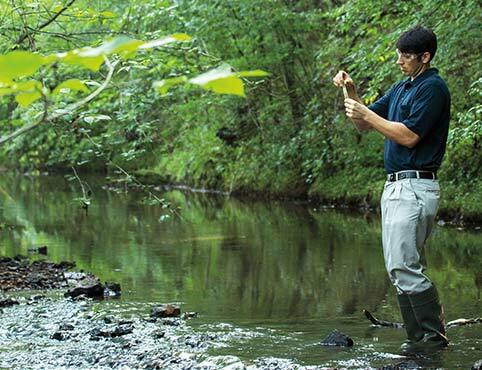 Our employees are engaged in environmental stewardship at work and in the community. 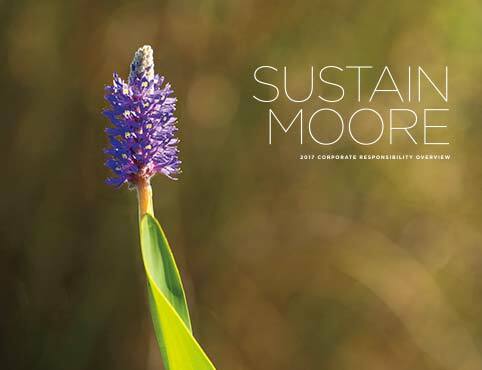 We are committed to developing products that are effective, safe and minimize impacts on the environment. 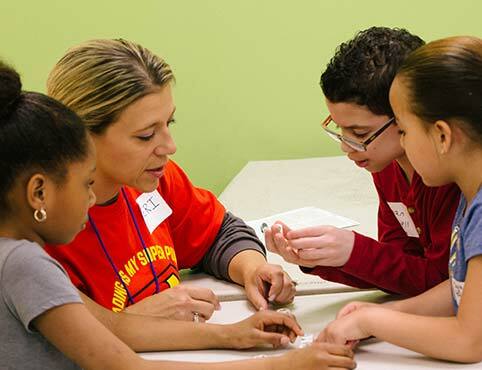 We steward an organization that enriches the lives of our people and communities for generations to come. The 2017 report in one downloadable PDF.